VR is all about convincing people that they are in a different situation. Sometimes that is flying or fighting or smashing blocks with laser swords. Fun. 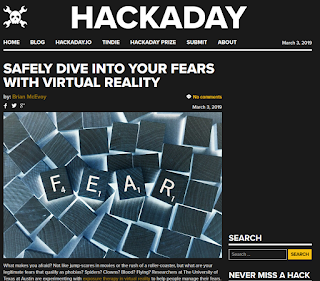 Some folks are trying to use VR to put people face-to-face with their fears in a safe environment. 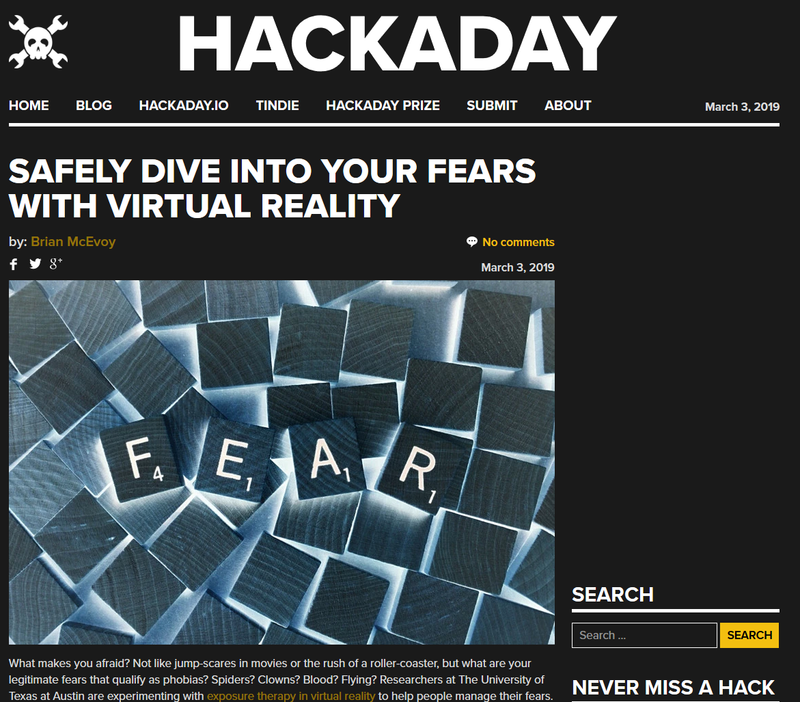 The first results look good, and VR is something the hacker community already has a handle on so we could be making therapy sessions for one another before long. Or people could start today if they wanted.